Home / Blog / Insect Alert: What’s going to be bugging you this Spring? Where you live affects almost everything about your life, from the food you eat, the weather you enjoy (or loathe in some cases), the amount of crime, traffic and taxes you have to deal with — even the household pests you face. Just like you, rodents and insects are particular about where they live. 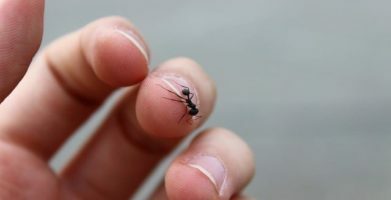 While they’re all looking for available food and water, ant problems are usually more common and severe in the warmer, southern regions of the U.S. while colder areas have to deal with rats and mice. 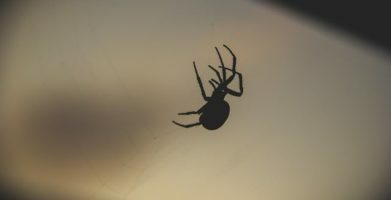 Spiders may be more common in drier areas, and mosquitoes love moisture. Aside from regional differences in climate, seasonal weather patterns also affect pest populations. When the seasons change, it’s not hard to notice that you often experience more of a particular pest than others. What does this mean for you as a homeowner who just wants a pest free home? The best defense is a good offense. If you want to keep insects and rodents out, you need to understand exactly what’s drawing them in. Over the next few weeks, we’ll be targeting each region and sharing tips, tricks and information to help you prevent pests naturally. To get you started, we’ve summarized the National Pest Management Association’s Bug Barometer, forecasting how winter weather will impact pest populations this spring and summer so you know what to expect and how to solve these natural problems. Where the wild things are (or aren’t)! East Coast: Up north, areas like Boston had record snowfall. This means more standing water as the snow melts and the weather warms, which creates the ideal breeding ground for mosquitoes. You’ll start seeing them after the last frost and by the time we get into summer, you’ll want to use some protection. Try lavender scented dryer sheets to repel these buzzing pests. Midwest: Record breaking cold temps will likely mean a delay in pest activity. The extreme cold may also reduce rodent populations. If you’re looking for another reason to love winter, THIS is it! Although insect populations may not be smaller, they will probably occur later in the spring and summer seasons. Minnesotans especially know that the land of 10,000 lakes is also the land of 10,000 mosquitoes! Before you hit the summer BBQs, you might be interested to know that mosquitoes are more attracted to people who have been drinking beer, and less attracted to people who have been consuming garlic. Further south, a lack of precipitation may drive ants indoors and lead to an increase in tick populations. Remember to wear light colored clothing and to cover up if you will be outside in tick prone areas like the woods or forests. West Coast: Warmer and drier conditions lead to lower mosquito populations, but unfortunately the good news stops there. Drought conditions will drive ants indoors looking for water. Tick populations will thrive in areas of brush and vegetation. Remember to keep your yard clear of leaf or brush piles — ticks prefer moist, dense areas to open, sunny spaces. We can’t control the weather, but there are many ways you can control pest activity in your home. Like that old saying, “Prevention is the best medicine,” pest prevention is better than ending up with an infestation and having to get rid of them. Clean up — By cleaning up, rodents and insects will have fewer places to hide. There will be fewer food and water sources, and less nesting (or in the case of rats and mice, gnawing) material available. Seal up — By sealing potential entry points, pests will have to work harder to get into your home. They will usually choose the path of least resistance, and move on to easier pickings. Pouch up –By using earthkind’s botanical pest repellent pouches to protect your home and personal property, you can turn a pest’s strength into a weakness. Rodents and insects rely on scent for multiple reasons. Detecting danger such as predators and poisons, as well as to leading them to friendly territory and food sources make this sense extremely important. Scent-based repellents block these critical olfactory cues. Rodents will flee to an area of safety (outside your home) instead of risk blindly entering a predator’s territory. Preventing pests naturally takes just a little effort, is completely safe, and has been proven effective. Sign up for our newsletter’s to stay up-to-date on pest prevention tips and special offers from EarthKind®. Where you live affects almost everything about your life, from the food you eat, the weather you enjoy (or loathe in some cases), the amount of crime, traffic and taxes you have to deal with -- even the household pests you face. Aside from regional differences in climate, seasonal weather patterns also affect pest populations. When the seasons change, it's not hard to notice that you often experience more of a particular pest than others. What does this mean for you as a homeowner who just wants a pest free home? Over the next few weeks, we'll be targeting each region and sharing tips, tricks and information to help you prevent pests naturally. 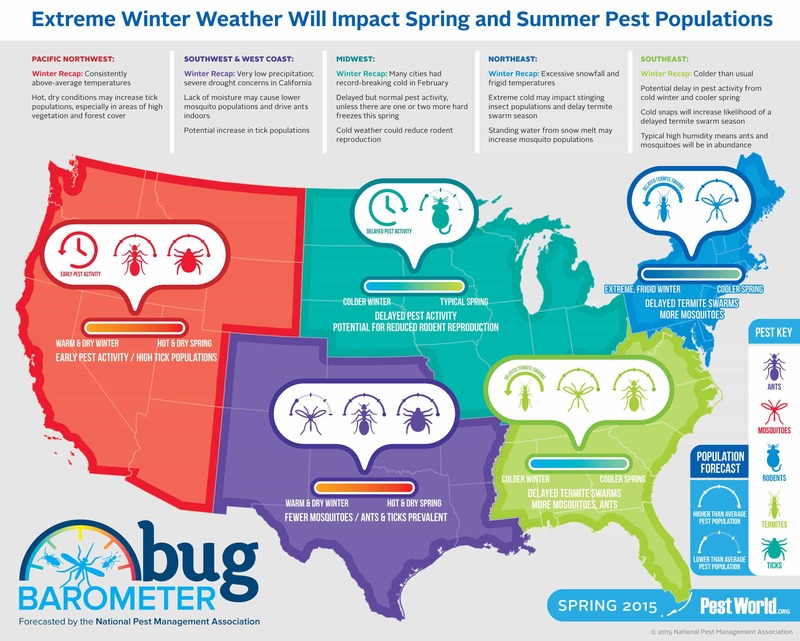 To get you started, we've summarized the National Pest Management Association's Bug Barometer, forecasting how winter weather will impact pest populations this spring and summer so you know what to expect and how to solve these natural problems. Where the wild things are (or aren't)! Midwest: Record breaking cold temps will likely mean a delay in pest activity. The extreme cold may also reduce rodent populations. If you're looking for another reason to love winter, THIS is it! Although insect populations may not be smaller, they will probably occur later in the spring and summer seasons. Minnesotans especially know that the land of 10,000 lakes is also the land of 10,000 mosquitoes! 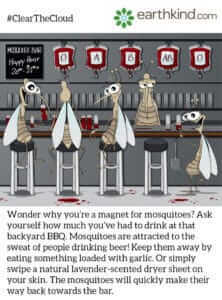 Before you hit the summer BBQs, you might be interested to know that mosquitoes are more attracted to people who have been drinking beer, and less attracted to people who have been consuming garlic. West Coast: Warmer and drier conditions lead to lower mosquito populations, but unfortunately the good news stops there. Drought conditions will drive ants indoors looking for water. Tick populations will thrive in areas of brush and vegetation. Remember to keep your yard clear of leaf or brush piles -- ticks prefer moist, dense areas to open, sunny spaces. We can't control the weather, but there are many ways you can control pest activity in your home. Like that old saying, "Prevention is the best medicine," pest prevention is better than ending up with an infestation and having to get rid of them. Clean up -- By cleaning up, rodents and insects will have fewer places to hide. There will be fewer food and water sources, and less nesting (or in the case of rats and mice, gnawing) material available. Seal up -- By sealing potential entry points, pests will have to work harder to get into your home. They will usually choose the path of least resistance, and move on to easier pickings. 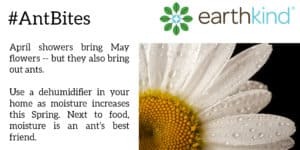 Pouch up --By using earthkind's botanical pest repellent pouches to protect your home and personal property, you can turn a pest's strength into a weakness. Rodents and insects rely on scent for multiple reasons. Detecting danger such as predators and poisons, as well as to leading them to friendly territory and food sources make this sense extremely important. Scent-based repellents block these critical olfactory cues. Rodents will flee to an area of safety (outside your home) instead of risk blindly entering a predator's territory. Preventing pests naturally takes just a little effort, is completely safe, and has been proven effective. Sign up for our newsletter's to stay up-to-date on pest prevention tips and special offers from EarthKind®. string(57) "Insect Alert: What's going to be bugging you this Spring?"